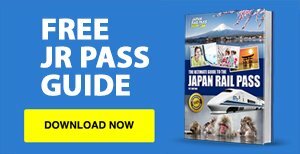 What is a Japan Rail (JR) Pass? The JR Pass offers international visitors to Japan unlimited, discounted travel on the JR Railway, selected buses and selected ferries. The JR Pass can also be used for discounted accommodation at JR-affiliated hotels! This really depends on how much extensive travel you plan on doing. We always recommend doing your homework to see if the JR Pass is worthwhile for your trip. When you arrange to purchase your pass from Japan Rail Pass Now, you’ll receive an exchange order voucher in the mail. When you arrive in Japan you simply take your voucher and your passport to a JR exchange office to redeem your JR pass. Am I eligible for a JR Pass? Anyone who is a temporary visitor to Japan is eligible for a JR Pass. Is the JR Pass expensive? While it may seem like a big investment on first glance, prices are significantly cheaper than locals pay for comparable train travel in Japan. We suggest using our planning section of the website to see if the Japan Rail Pass will be economical for your trip. When does a JR Pass expire? The validity of a 7, 14 or 21 day JR Pass is based on calendar days (midnight to midnight), rather than 24 hour periods. For example, if you start using your pass at 2pm on day 1, it will expire at 11.59pm on day 7, rather than 2pm on day 8. If you happen to be on board a train at midnight on your last day, your JR Pass remains valid until the end of your journey. Children aged 6-11 are entitled to a 50% discount on their JR Pass. Children aged 5 and under can travel for free. What is the difference between Economy and Green class? Both provide a comfortable experience, but as you’d expect, Green class offers larger seats, more foot space and enhanced facilities, in return for a higher price. The enhanced facilities depend on the Shinkansen, but can include foot rests, reading lights, radios, electrical outlets and seat warmers. Green class Shinkansen carriages also tend to be less crowded. The JR Pass provides you with the option of reserving your seats at no additional cost. All you need to do is present your JR Pass to any JR ticket office at stations throughout Japan. You cannot make reservations on board a train or at ticket machines. Can I use the pass in Tokyo/Kyoto/Osaka etc? Yes, you can use your JR pass for designated JR lines throughout Japan’s major cities and prefectures. Can I get a refund on my exchange order? Can I use JR Pass in Tokyo? Yes, you can use the JR Pass on the Yamanote line (Tokyo loop line that goes around Tokyo and serves most of the big stations), the Chuo/Sobu line (Runs accross the Yamanote loop line from East to West) and the Tokyo Monorail. You can also use the JR Pass on other JR Lines that go to the outskirts of Tokyo. If you are arriving at Narita Airport you can use the JR Pass on the Narita Express. What are the JR Hotel Discounts? 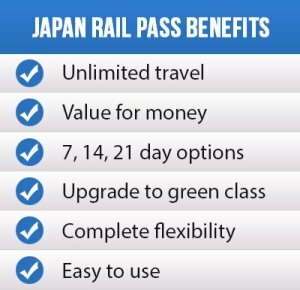 What are the advantages of booking with Japan Rail Pass Now? Since 2010, we’ve been Australia’s No.1 choice for the Japan Rail Pass. We offer extensive information and pride ourselves on our fantastic customer service. 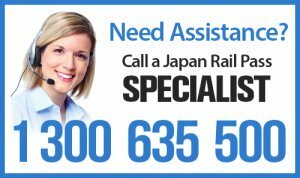 Our goal is to provide Australians with the a seamless process from researching, purchasing and using your Japan Rail Pass in Japan. We charge in Australian dollars, unlike international sellers which charge in other currencies and incur an international transaction fee. All our orders are shipped from Australia via Australia Post. Do I have a tracking id for shipping? Yes, all orders will have a tracking ID. You will receive an email in 1-2 business days after your purchase with your tracking information. Where is the Japan Rail Pass Timetable? You can use Hyperdia (www.hyperdia.com) to view an extensive timetable of all transport options in Japan. Yes, we charge in Australian dollars. This means you won’t be charged an international transaction fee. No, we don’t have any credit card surcharge on purchase. Do you have student or senior discounts? No, we don’t offer discounts for students and seniors. The Japan Rail Pass is already a very discounted product. Seats can be reserved at ‘Midori no Mado Guchi’ ticket offices, Travel Service Centers and JR-Associated Travel Agencies. You can make seat reservations right up until the train departs. 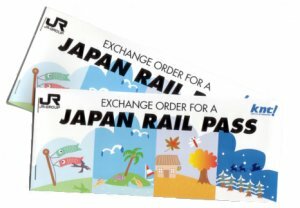 Think of the Exchange Order as your coupon or voucher for the Japan Rail Pass. However, you should treat this as your actual pass because you won’t be able to receive your Japan Rail Pass without it. Is there a credit card charge? No, we don’t have a credit card charge for all cards. We aim to have orders processed within 24 hours. Orders will then be shipped using Australia Post Express Mail. Express Mail generally takes between 2 – 4 business days. Please note that some orders will arrive the next day via Express Shipping but it’s not guaranteed. Can I cancel my Japan Rail Pass Exchange Order? What Does the Departure Date mean In Checkout? Departure date means the day you leave Australia. We ask this question to understand when you are departing Australia for delivery purposes and when you plan on using the Japan Rail Pass. How can i plan for my trip? We recommend using Hyperdia (http://www.hyperdia.com/en/) to see where you can go and at what times. The tool is fantastic for planning your trip in Japan. It costs $6.99 for Australia Post Express shipment. Can i pick up the order? No, unfortunately we don’t offer pick up. 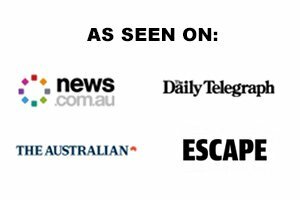 All orders are delivered by Australia Post and their Express Shipping method. What company do you use to ship orders? How long does it take to receive my exchange order? We aim to have orders processed within 1 business days. Items will then be dispatched with our shipping partners and orders can expect to arrive between 2 – 4 business days. Please note that it can take up to 10 days, in particular if items are shipped to remote areas of Australia. How do you calculate the days when using the pass? The calculation is based on the day and not time. It doesn’t matter what time you start the pass, it will run out at midnight on the final day. For example, the 7-day pass that starts on January 6 at 1pm will still be valid until January 12 at 11:59pm – not January 13 at 1pm. Is it possible to alternate my days of using the pass? No – and it doesn’t matter which pass you buy. You can only use it for consecutive days after the start date. Even if you choose not to use the pass one day, you will not be able to keep the day for one later in the week. For example, a 7-day Japan Rail Pass with a start date of January 6 will be valid until January 12. Do I need to start the pass as soon as the voucher is exchanged? The start date does not have to be on the date that your voucher is exchanged. You decide the date that you want to start it on but this does have to be within 30 days of making the exchange. Do I Have To Use My Pass After I’ve Received It? If you don’t want to use the pass as soon as you arrive or you want to spread out your trips, there are options. There are ways that you can adapt your pass to suit your itinerary. Who Can Get A Japan Rail Pass? What Does The Japan Rail Pass Cover? You will be able to travel economically and practically with the Japan Rail Pass so that you have access to the most important Japanese attractions. There are some restrictions so please follow these to keep your pass valid. You will be able to use all JR railway network trains with the Japan Rail Pass. These include the JR Shikoku, JR Center, JR Hokkaido, JR East, JR Ouest and JR Kyushu networks. You will also have access to the express and local trains, but the Shinkansen trains (bullet trains) are the fastest and have connections to the main Japanese cities. The monorails connecting Hamamatsucho Station and Haneda Airport can also be used with your pass. You can take the “Kodoma” and “Hikari” lines, which travel the same routes but stop at more stations. There is not that much of a time differences between the lines – about 20 minutes between the “Nozomi” and “Hikari” Shinkansens. The fastest Shinkansen trains “Mizuho” and “Nozomi” are also not valid with the Japan Rail pass. These are on the Sanyo and Tokaido lines. The JR Hakata-Pusan ferry to get to Korea is not valid with this pass. You will need to buy tickets to travel on the Odakyu trains, which are in the Kanto region, and the Kintetsu trains within the Kansai region. You cannot use the sleeper, private or special compartment wagons. You will need to pay extra for these. If the JR train uses another company during your journey, your pass becomes invalid and you will need to pay for that section. This can be done onboard or before getting the train. This happens when travelling from Shinjuko/Ikebukuro to Nikko, where there are JR stations in Nikko and Tokyo. From Kurihasi, the train uses the Tobu tracks. It would usually cost 3,900 yen for the whole trip but with a Rail Pass, you can travel for 1,560 yen. What Is The Japan Rail Pass Valid For? When Should The Japan Rail Pass Be Activated? The starting date does not need to be on the date of exchanging the voucher. It is possible to start the date of the rail pass anytime within 30 days of exchanging. Think about your starting date with a 1-week rail pass. When your schedule is tight, you will be better to use the day and not waste one. Where do I swap my Exchange Order voucher? How do I transform my Exchange Order for a Japan Rail Pass? Before you can activate the Japan Rail Pass, you need to go to the JR office and transform your exchange order in to your Japan Rail pass. You will find these offices at the main train stations and the airport. Please check the list of offices here for their opening times as they may differ. Fill your form at the office and show your temporary visitor stamp in your passport to receive your Japan Rail Pass. You will have the option of when to start using the pass while exchanging the voucher. This must be within 30 days of exchanging. After validation, the pass will be ready for use on the date you decided and for the length of time that it is valid for. What happens if I lose my Japan Rail Pass or it is stolen? The Japan Rail Pass Exchange Order or Japan Rail Pass cannot be reissued if it is lost or stolen. Make sure you keep it safe at all times. Can I refund my Japan Rail Pass Exchange Order? What is a Shinkansen train? Can I change the name on the Japan Rail Pass Exchange Order? What If I lose something on the Bullet Train? Don’t worry, Japan is one of the safest countries in the world and there is a great chance it would have been handed in. If you recently lost your property, you can visit one of JR’s lost property counters or even give them a call before you make the journey. Where do I put my luggage? There is no specific area to place your luggage on the bullet train but you can place them behind the very last row of seats in the carriage. Japan is very safe, so don’t worry! Smaller items can be placed in the overhead storage compartment, or if you are not comfortable with leaving your luggage unattended then you can always place it in front of you. Can I reserve seats on the Japan Bullet Train? Yes, seats can be reserved at ‘Midori no Mado Guchi’ ticket offices, Travel Service Centers and JR-Associated Travel Agencies. You can make seat reservations right up until the train departs. However, during national holidays it is wise to book a few days in advance. Can I use the Japan Rail Pass on the Narita Express when I arrive in Japan? Yes you can, but you will need to reserve a seat at the ticket office before travel. It’s compulsory. How long do I have until my exchange order expires? The exchange order is valid for three months from the date it is issued with us. Within that three months, it must be presented at an exchange office in Japan with your passport and ‘Temporary Visitor’ stamp to receive your pass. If you don’t plan on using the Japan Rail Pass within three months then you can wait and book when you’re within the 3 month period. Is there a seniors fare for the Japan Rail Pass? No, they only offer adult and children fares due to their already discounted price. What is the validation period from the time I first use my Japan Rail Pass? The validity period is based on calendar days, from midnight to midnight. So if you start using your 7-day rail pass at 9am on day 1, it will expire at midnight of day 7. If you are on board a train and it goes in to the coming day, the pass will be valid until the end of your current train journey. So it’s good to make sure you use your JR Pass effectively and plan on when to start using it. 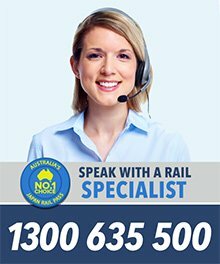 Does my infant/baby need a Rail Pass? Infants & babies between the ages of zero to five years do not need a Japan Rail Pass. If the train is busy, then you must place them on your lap. Otherwise you are free to place the infant on a seat in unreserved, reserved or Green Car (first class), but only if the seat is not needed by paying customers. You can still purchase a child ticket if you want to guarantee them a seat. What is Green Class like? The green car section offers comfortable seats that recline at a 40 degree angle and have a more business class feel. In general, the section is not crowded, is quiet, and offers better views on your journey with larger windows. If you are looking for more tranquility on your journey then this class is for you. Can I use multiple Japan Rail Passes on the same visit? Yes, as long as they are used within 3 months as according to your Transit/Temporary Visitor Visa category. That means you can purchase a 14-day pass when you plan on doing a heap of travel at the start of your trip and then a 7-day pass at the end. You would generally get multiple passes when you plan on staying in the country for a couple of months. Can I have breaks between days on my Japan Rail Pass? Once you have activated your Japan Rail Pass, then it’s valid for the next 7/14/21 days. You don’t need to use it every day, however, it’s wise to understand where you want to go and how much time you plan on staying in Japan when booking. Am I eligible to use the Japan Rail Pass? You are eligible to purchase a Japan Rail Pass if you hold a valid ‘Temporary Visitor’ stamp on your passport. You automatically receive this stamp on your passport when you enter Japan for your holiday. If you are entering Japan to work or study, then you are not eligible for a Japan Rail Pass. If you plan on travelling extensively around Japan, then getting a Japan Rail Pass is a no-brainer. While the initial cost looks quite expensive, the discounted passes cover unlimited travel on the entire JR Network and also include use of selected buses and ferries. Put it this way, booking a return trip from Tokyo to Kyoto will cost you the same price as a 7 day pass. Which Japan Rail Pass is right for me? Well, it depends on how long you are staying for and what you want to see. Hyperdia (http://www.hyperdia.com/en/) gives you the chance to plan your route and help you make a decision on how much you think you will be using your pass. What is the process of ordering a Japan Rail Pass? If you are eligible, you will then need to decide what length of pass and class type you require. 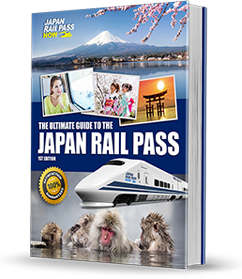 After you fill in your details on our easy online booking form and complete your payment we will then send you your ‘Japan Rail Pass Exchange Order’. You will then transform your Exchange Order in Japan at an official JR Office/Associate for your Japan Rail Pass. With the Japan Rail Pass in your hand you are now free to explore all the wonderful places Japan has to offer. What is a Japan Rail Pass Exchange Order? The exchange order is the actual document you will receive from us in Australia. You will take this Exchange Order to Japan, and with your passport and valid tourist stamp, you will exchange it for your actual Japan Rail Pass. You are then ready to start traveling! You can purchase Japan Rail Passes that cover 7, 14, or 21 consecutive days.